Thanks for stopping by. 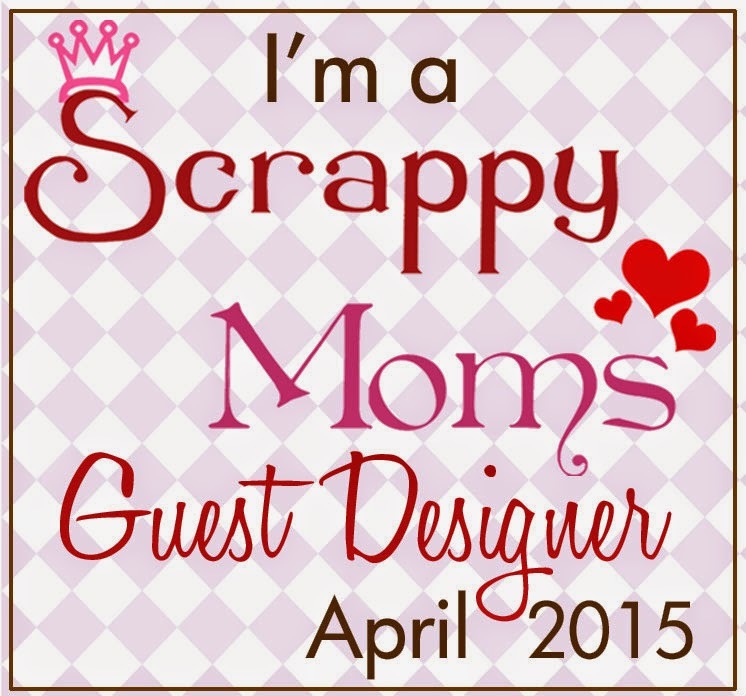 Well I am participating in another blog hop this week with Mary and the DT members of Cardz TV Stamps. This week's theme is I (Heart) U. As you can see the first card is for my valentine and the project underneath is for my co-workers. I had a lot of fun creating this week. Even though they look like I spent a lot of time working on them it didn't take that long. If you want to start at the beginning of the hop you want to start at Cardz TV. 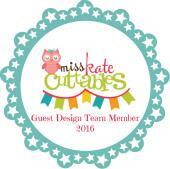 If you arrived here from the talented Candice of Stampin' pearlss blog then you are on the right track. Have fun, comments are welcome and as always Enjoy and GOD Bless! 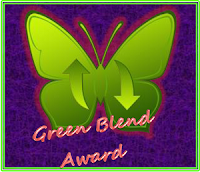 All you have to do is leave a comment on Mary of Cardz TV Stamps to be eligible to win 2 Stamp sets of your choice. Good Luck and Happy Hopping. Will pull one lucky winner (Random.org) for EK Success decorative corner punch. 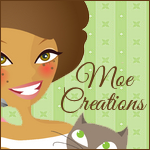 Leave a comment and a way for me to contact you. You don't have to be a follower, but I would definitely appreciate it if you were. Oh my goodness you have been so busy, these treat hearts turned out adorable! I just love your card and the sucker holders are great. TFS. Wow, where do you find the time. I just love your card. That is such a beautiful cut and the colors make it work so well. Your treat holders are sooo cute. Can you show how they are done? Beautiful card. The lolly pop covers are so cute and such a great idea. I just love your treat bags! I have had that tab punch for forever and did not know how to use it! I am going to try to make the lollipop covers...cute cute! I LOVE your suckers!! what an adorable valentines treat! 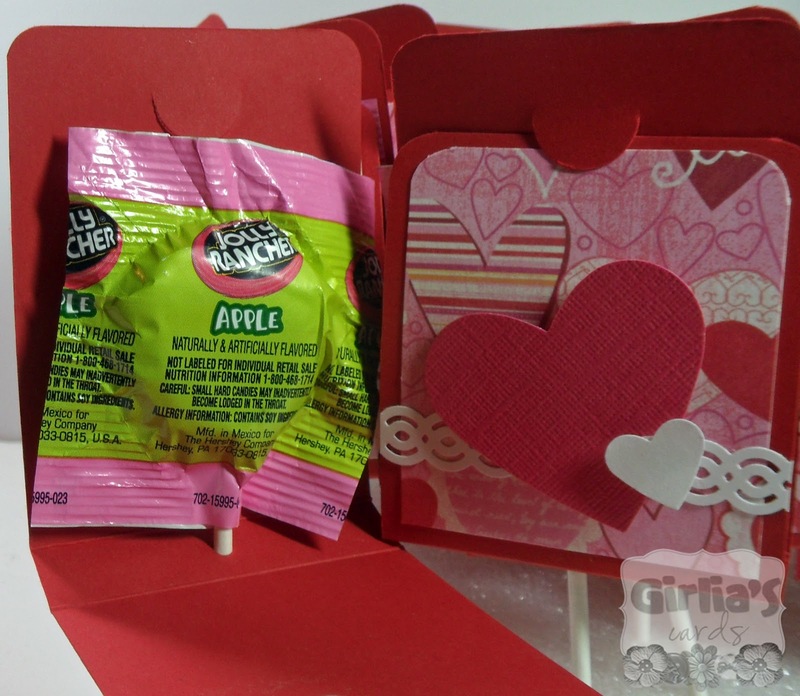 Great card for your valentine and the treat holders are adorable! I am a new follower and look forward to visiting you! Great hop!! Love the card, very very nice. Cute sucker holder also. Thanks for the give away. oh these are just perfect!! Such a beatutiful card and I love the little treat holders! You have been busy! Thank you for the inspiration and for being a DT memeber for Mary! 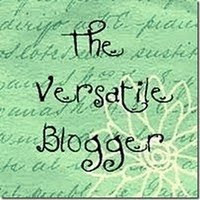 This is my very first blog hop that I have entered, I'm having a blast! 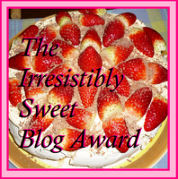 YOU are so sweet to offer blog candy and for a chance to win. I really like the lollipop covers-great ideas for sprucing up the candy! 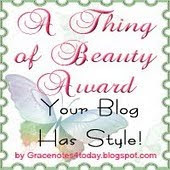 Thanks for sharing-and allowing me to get inspired! 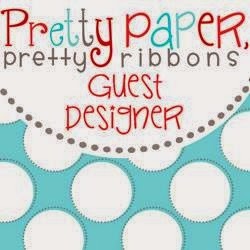 Very cute projects! Love the lollipop holders! 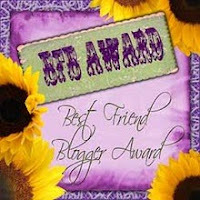 TFS and for the chance to win the blog candy. 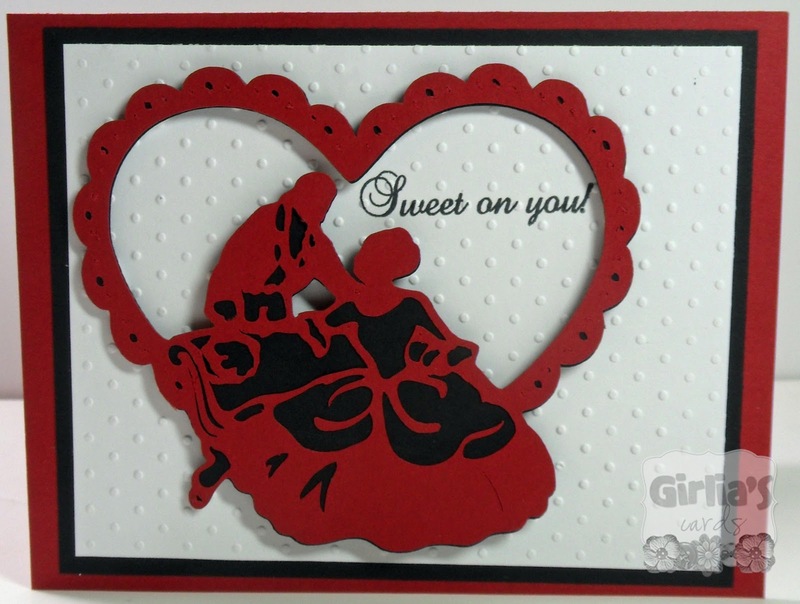 your card for you Valentine is awesome, love the silhouette couple against the heart, lovely! And those little lillipop treat covers are the bomb...woohoo wtg, love them! Very cute projects. I love your lollipop holders. They are so wonderful. 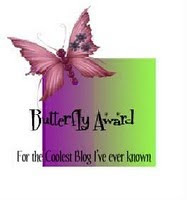 Wow, I have to say this really caught my eye as I was scrolling my blogs. Beautiful job!!! Treat boxes are so cute also! You did a fantastic job on all your projects. 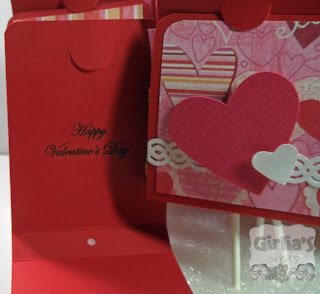 Love the treat bags and your card is beautiful. Became a follower. Love the sucker holders. Very cute. I am a new follower. Thanks for a chance to win. Beautiful card and I love the pop holders as well! Love you card and the pop holders. Bet your husband and your co-workers will, too. Really appreciate your comment about creativity coming from God. happy valentines day gloria! 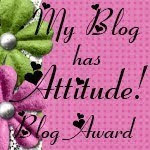 i am now a follower of your blog mea57_98. love the lollypop holders! very cute and sweet! They do look like they were a lot of work! just adorable! So cute! Your co-workers will love them. Gloria- these are adorable treats. I love the couple on the card. Thanks for the chance to win and already a follower. Very nice! I love the little treats. It does look like you spent a lot of time on them.. shhhhhhh don't tell your co-workers you didn't...LOL! 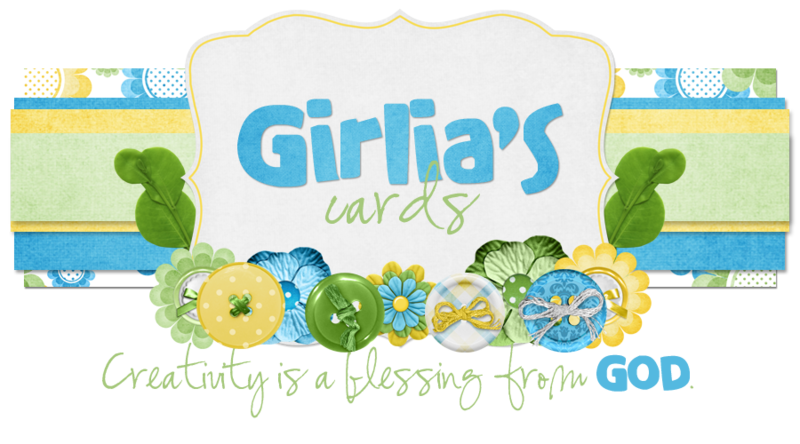 Gloria, your beautiful card is just stunning, and I just love the candy holders!! Thanks so much for being on the Carz TV DT...You ROCK! Great idea! Love your project! Wow! Absolutely love your work! Also, love your site! Thank you for the inspiration! 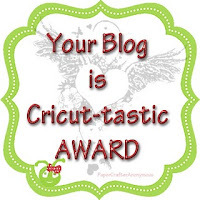 Thank you also for the fun blog hop! 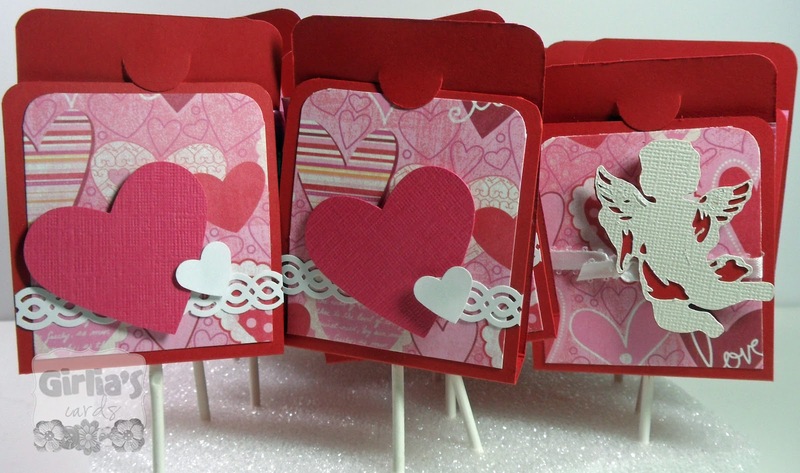 lovely romantic card and treat holders, TFS! What a beautiful card, so romantic! so romantic, your valentine is going to love it cause i do. your suckers are fabulous too. 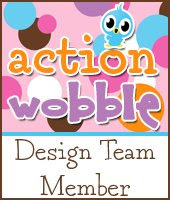 Wondeful projects, the pop holders are really neat, TFS and for the chance to win. Wow!!! Busy lady!! These are super cute!! Your valentine's are adorable, but I love the man and woman on the other card. They are so classic and beautiful. Thanks so much for sharing. Girl, u did an amazing job!!!! Great set of Valentine projects today!! love the first card of the couple and the lollipop holders. Love your card and the cute treat holders. Wish my kids were still small. Would have made some for sure. Really sharp looking card. and cute treat bags. Lovely card and cute treat holders. Thanks for sharing. Great projects! Very pretty card, and the lollipop holders are so cute. 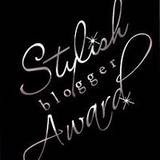 TFS and for the chance to win! I love the silhouette idea. And the lollipop cards are so cute. Very inventive! Thanks for sharing! What a creative packaging idea!!!! I am SO impressed! Your card is so beautiful with the die cut silhouette! And those lollipop treats are just adorable! I'm a new follower! What cute lil treats for your co-workers!!! They are absolutely adorable and I'm sure they'll be a big hit!!! TFS! I'm a new follower! Oh, Gloria, these are amazing!!! I've missed sooooo much and now I've got to run in and out playing catch-up!!! It'll take a while but I'm going to work it... lol!!! Thanks for your concern, I'm feeling so much better and ready to get back to my blog and blog-family! So, I'll be seeing you again soon but had to stop by and say "hi" first! I just became a follower. 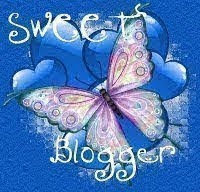 Love all the inspiration I am getting and all the new blogs I am finding to follow from following this blog hop - my first! Your card is beautiful and the treat holders are great. You have some very luck co-workers! You have been a busy girl! I am so behind in comparison but I did mail a few cards today. Thank you for sharing all your Valentine pretties. Your card is beautiful and the sucker cards are so cute! Such an elegant card...so pretty! Cute pop holders too...TFS! These are both so awesome! 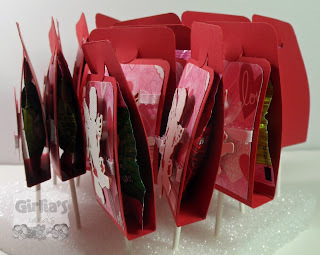 Your Valentine as well as your co-workers are going to LOVE these little gems!!! Thanks so much for sharing. very cute card.love the couple.great pops.